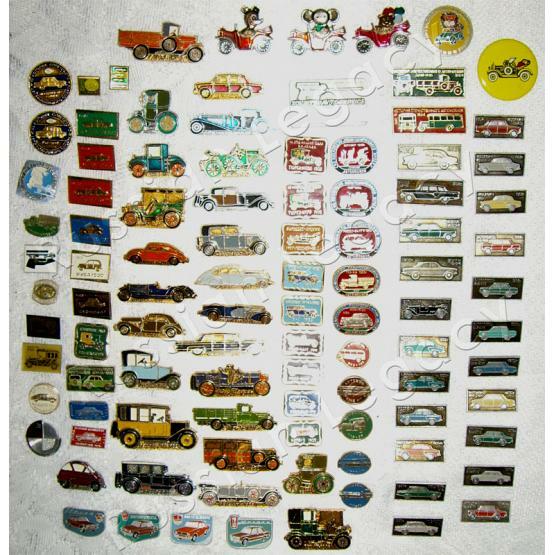 Selection of 100 (one hundred) assorted lapel pins featuring old Soviet and foreign cars, including Volga, Zil, Moskvitch, Zhiguli, Bugatti, Mercedes-Benz, Ford, and many others. All items are 100% original, i.e. made in the USSR. Imported from Moscow, Russia.